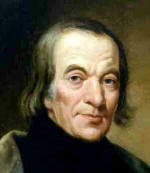 Owen, Robert (1771-1858), British utopian socialist, generally considered the father of the cooperative movement. Born on May 14, 1771, in Newtown, Wales, Owen was the youngest son of the village postmaster. At the age of nine he was apprenticed to a draper's shop, and he quickly gained knowledge of fabrics. By the time he was 18 he had managed to save and borrow for investment in the manufacture of textile machinery. Two years later, by bluff and pluck, he obtained the position of manager in a Manchester textile mill. In 1799 he bought factory holdings in New Lanark, Scotland, marrying the seller's daughter in the bargain. New Lanark gained international fame when Owen's experiments in enhancing his workers' environment resulted in increased productivity and profit. Owen had become convinced that the advancement of humankind could be furthered by the improvement of every individual's personal environment. Character, he reasoned, was moulded by circumstances; improved circumstances would lead to goodness. The environment at New Lanark reflected this philosophy. In 1825, to advance his theories concerning human labour as the �natural standard of value,� he purchased 8100 hectares (20,000 acres) of land in Illinois and Indiana as a site for a model communal village, New Harmony. The volunteer population for this experiment, however, was assembled all too hastily, and despite Owen's periodic visits to restore the initial enthusiasm, adherence to the communal constitution was soon abandoned. By 1828 New Harmony had been reduced to a travesty of its utopian ideal, and Owen sold the land at a loss of four-fifths of his total fortune. Although he later contemplated other such projects, they never came to fruition. Owen's fame led him to meet many important people. This enabled him to convey his ideas, many of which were viewed with suspicion or indifference, to such personages as Queen Victoria of England, Grand Duke Nicholas of Russia, President Antonio L�pez de Santa Anna of Mexico, and President Andrew Jackson of the United States. In later years Owen frequently participated in socialist congresses, and he wrote extensively. His Book of the New Moral World (written in seven parts between 1826 and 1844) contains the most complete statement of his doctrines. In 1833 Owen helped found the first British trade union, which soon failed. His ideas, however, bore fruit in the international cooperative movement, launched at Rochdale, England, in 1844. Owen died on November 17, 1858, in his hometown, Newtown.